Here are the ratings for the One Tree Hill TV show. The saga of the residents of Tree Hill in North Carolina is finally coming to an end. 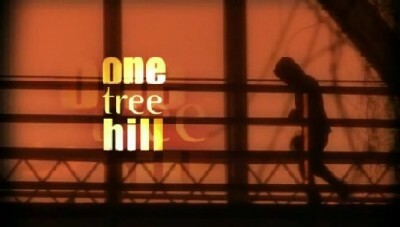 The ninth season of One Tree Hill typically airs Wednesday on The CW network. These are the TV show’s ratings for the 2011-12 season, the best way to tell if One Tree Hill is getting a proper send-off from The CW network. Check out our CW ratings report card to see how this show’s numbers compare with the others on the network. Final season averages: 0.8 rating in the 18-49 demographic with 1.46 million total viewers. 0.8 in the demo (+14% episode-to-episode change) with 1.43 million; fifth in the timeslot. Season average: 0.75 in the demo with 1.46 million. 0.7 in the demo (-13% episode-to-episode change) with 1.34 million; fifth in the timeslot. Season average: 0.75 in the demo with 1.47 million. 0.8 in the demo (0% episode-to-episode change) with 1.50 million; fifth in the timeslot. Season average: 0.75 in the demo with 1.48 million. Demo average rank: tied for #5 of 13 TV shows on the network (Fall 2011 – Spring 2012). 0.8 in the demo (+14% episode-to-episode change) with 1.52 million; fifth in the timeslot. Demo average rank: #5 of 13 TV shows on the network (Fall 2011 – Spring 2012). 0.7 in the demo (0% episode-to-episode change) with 1.47 million; fifth in the timeslot. Season average: 0.74 in the demo with 1.47 million. 0.7 in the demo (-13% episode-to-episode change) with 1.6 million; fifth in the timeslot. 0.8 in the demo (0% episode-to-episode change) with 1.43 million; fifth in the timeslot. Season average: 0.76 in the demo with 1.45 million. Demo average rank: tied for #5 of 12 TV shows on the network (Fall 2011 – Spring 2012). 0.8 in the demo (+14% episode-to-episode change) with 1.40 million; fifth in the timeslot. 0.7 in the demo (0% episode-to-episode change) with 1.35 million; fifth in the timeslot. Demo average rank: tied for #6 of 12 scripted TV shows on the network (Fall 2011 – Spring 2012). 0.7 in the demo (0% episode-to-episode change) with 1.5s million; fifth in the timeslot. Season average: 0.75 in the demo with 1.50 million. Demo average rank: #5 of 12 TV shows on the network (Fall 2011 – Spring 2012). 0.7 in the demo (0% episode-to-episode change) with 1.46 million; fifth in the timeslot. Season average: 0.77 in the demo with 1.49 million. 0.7 in the demo (-22% episode-to-episode change) with 1.53 million; fifth in the timeslot. Season average: 0.80 in the demo with 1.51 million. Demo average rank: #4 of 12 TV shows on the network (Fall 2011 – Spring 2012). 0.9 rating in the 18-49 demographic with 1.49 million total viewers; fifth in the timeslot. Season average: 0.90 in the demo with 3.00 million. Demo average rank: Tied for #2 of 11 TV shows on the network (Fall 2011 – Spring 2012). Compared to the premiere of season eight, the series was down by 18% in the demographic. However, the whole network is down in the ratings so One Tree Hill is actually tied as the second-highest rated show on the network (with The Secret Circle). Reference point: The 2010-11 season averaged a 0.9 rating in the 18-49 demographic and 1.78 million viewers. What do you think? Do you like the One Tree Hill TV series? Do you think it should be cancelled or actually renewed for a 10th season? grand finale was awesome!!!! I’ve been a follower since season 1 at the age of 19 =) truly a great series! …so much that I even got hooked into watch the re-runs on soapnet from the start once more. the final season brought back so many memories from tree hill and LOTS of tears throughout the last episodes. Bethany wanted to come back, after season 8 ended she said this can’t be how we end> Let’s do at least another 13. Anyways, I love this season way more than season 8. I am going to be sad when its over but glad it is ending with a bang. SEASON 10!! SEASON 10!! Complete it off with a full 10 seasons (: even if it’s only 13 episodes again.